DEEP PURPLE are one of the all-time great and definitely quintessential British rock bands with album sales exceeding 100 million albums since they formed in 1968. Up to this point, the band is still touring the world and remains one of the most important names in rock history and topped the charts worldwide with their latest studio album “NOW what?!”. After Ritchie Blackmore had left the band in 1975, DEEP PURPLE found replacement in the US-guitarist Tommy Bolin. As a first reaction, this caused some frowns among some critics and fans, soon to be replaced with great astonishment for this highly talented guitarist. And Bolin indeed did revitalise the band, for a short period before drug abuse caused the band´s split and his tragic death soon after. The complete MKIV line up features, of course, John Lord and Ian Paice, vocalist David Coverdale, guitarist Tommy Bolin and bassis Glenn Hughes. 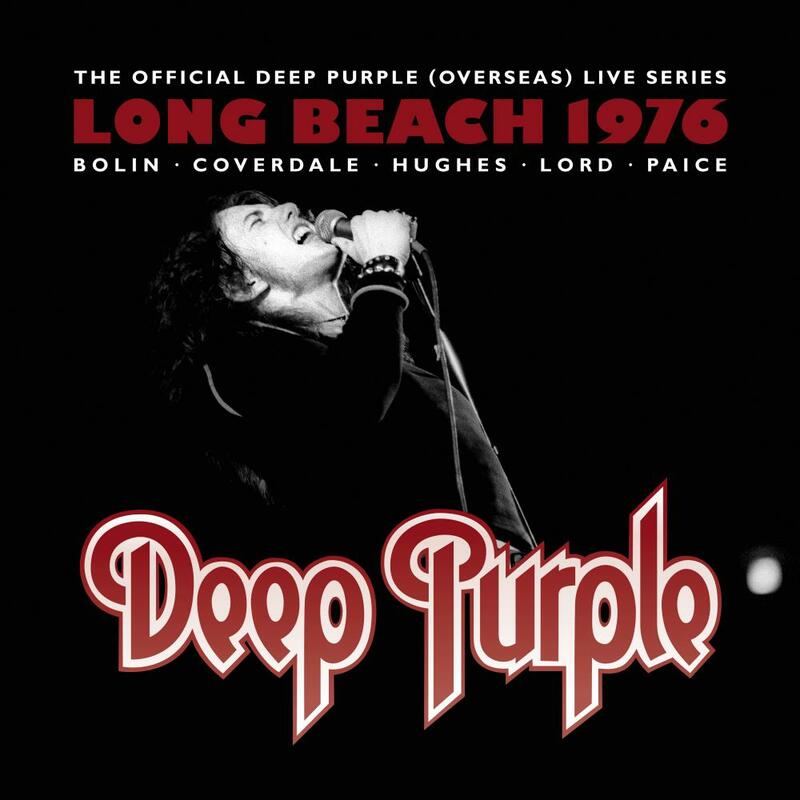 “Live In Long Beach 1976”, is part of earMUSIC’s DEEP PURPLE / DPO reissue series that, over the last couple years, has seen the release of rare live material from the band, including Copenhagen 1972, Stockholm 1970, Paris 1975, Graz 1975 and Long Beach 1971. “Live In Long Beach 1976” features one if of the very rare shows where the MK IV line up (Bolin - Coverdale - Hughes - Lord – Paice) performance was recorded live. The show was originally recorded at Long Beach Arena, California on February 27th for radio broadcast on “The King Biscuit Flower Hour”, an American syndicated radio show that featured concert performances by various rock artists, such as The Rolling Stones and Bruce Springsteen among many others. In this formation, DEEP PURPLE recorded only one album “Come Taste The Band” featuring Tommy Bolin’s great songwriting talent on most songs and it was this album that was promoted through the tour. Although this twelfth DEEP PURPLE album never gained the same commercial success as their earlier releases like “Machine Head” or “Made in Japan”, “Come Taste The Band” features a musically matured DEEP PURPLE and some of the best material DEEP PURPLE ever wrote and recorded and it is to this days considered a “must have” album, as this live document. After internal difficulties (mainly due to Bolin’s drug addiction) DEEP PURPLE decided to split up in July of the same year, seeing the members spread out to do several solo projects. Tragically, Tommy Bolin died only a couple months later through a heroin overdose. “Live in Long Beach 1976” is a real jewel in a fan’s collection, featuring a very quirky “Smoke On The Water” that morphs into a truly great rendition of “Georgia On My Mind” (Carmichael/ Gorrell), rare tracks from their album “Come Taste A Band” and even a song by Bolin’s solo album “Teaser”.